I was first introduced to the world of Japanese magazine on my very first trip to Japan at age 15. Since then, I've been saving room (and weight) in my suitcase for 5-10 magazines per trip. This obsession started with fashion magazine, then spread to travel magazines, and finally: cafe magazines. 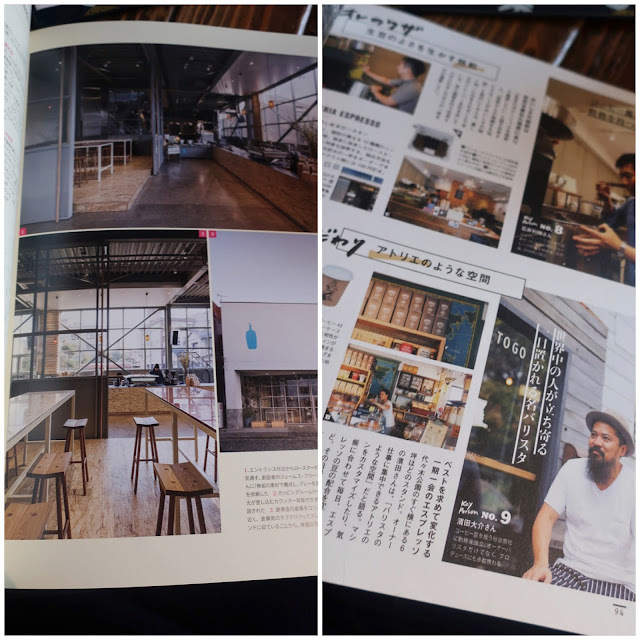 What is a cafe magazine? We don't have such an equivalent in the united states. 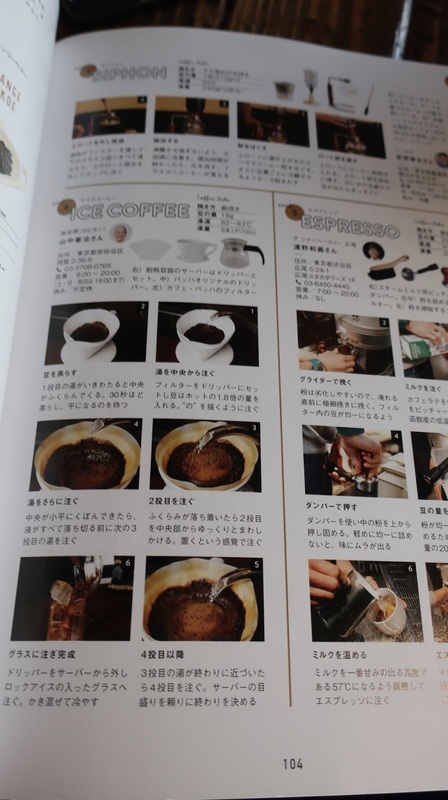 There are many coffee trade magazines for people in the industry. 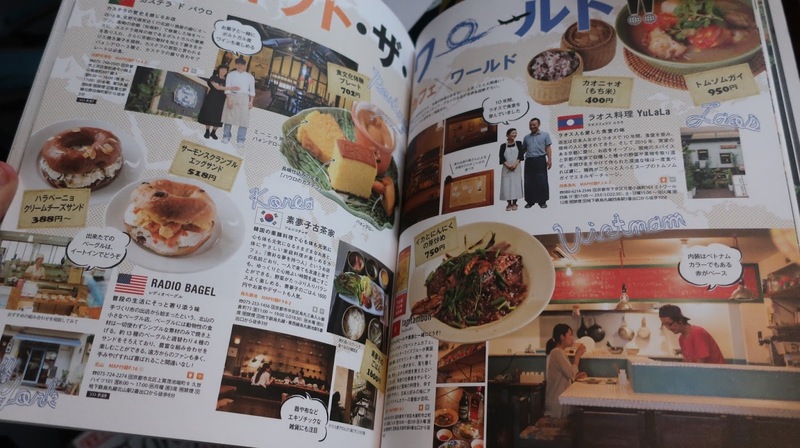 There are food and travel magazine that may feature some cafes. But nothing in the U.S. is quite like a Japanese cafe magazine. The closest equivalent may be American websites that features cafes. Eater regularly publishes a heatmap of cafes in each city, so do local news sources like PDX Monthly, and of course every American knows Yelp. 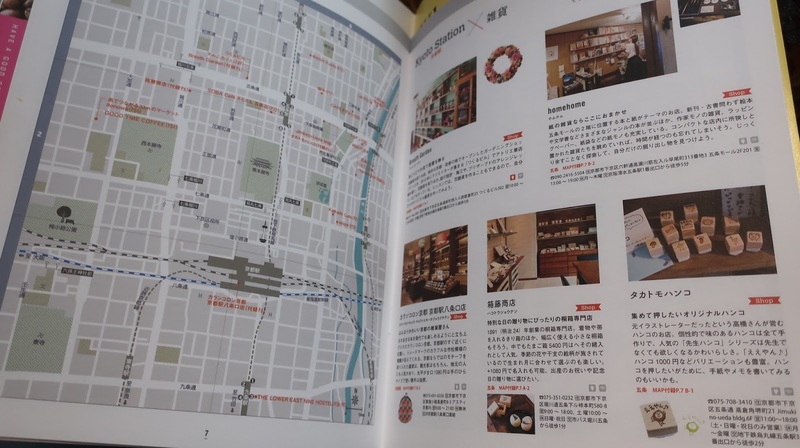 But these are simply lists of cafes that exist - and often only feature a short blurb and one photo. 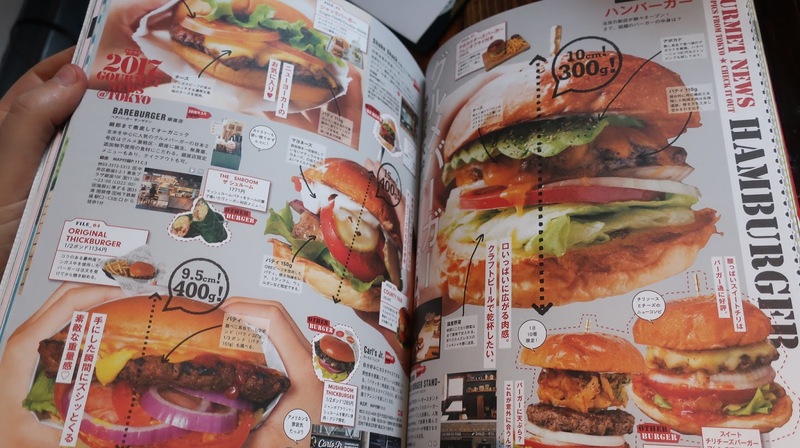 Nothing goes as deep, or is quite as thorough, as a Japanese Cafe Magazine. There is an enormous amount of information on each page, from photos to floorpans, to maps, to contact info, to stories, and blurbs. 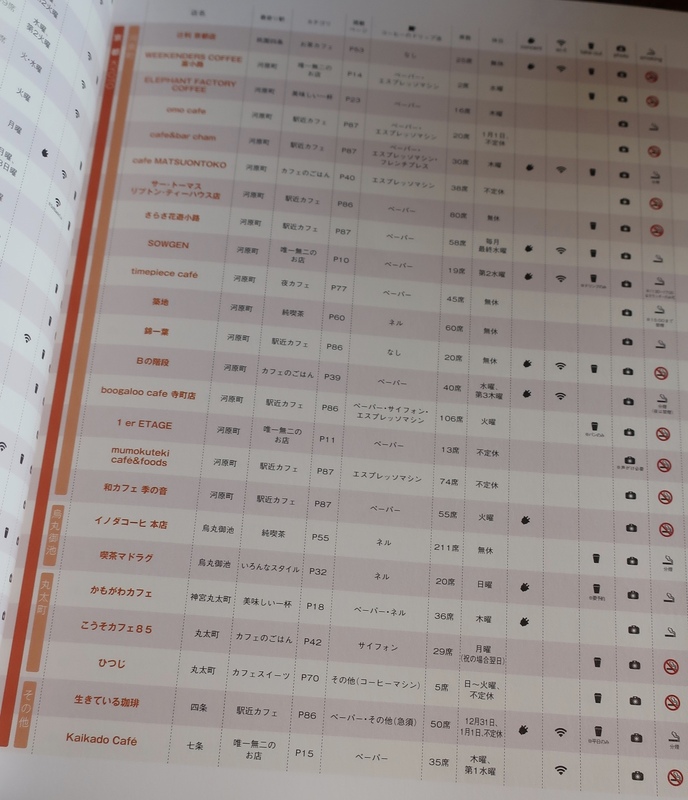 when it comes to Japanese magazine, more is more. In addition to cramming information in each page, you will fine ZERO pages devoted to advertisements. 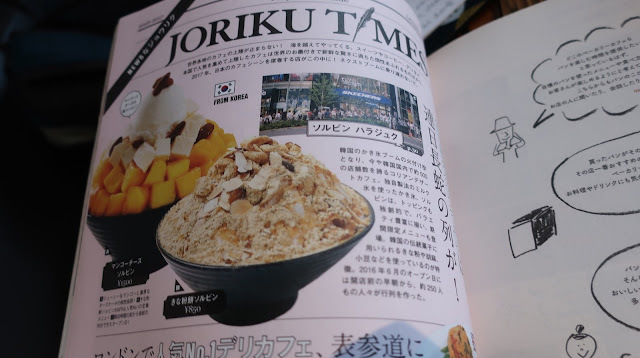 In addition to jam-packing text on each page, there are color photos throughout the magazine. No reader wants to spend time on long articles that merely describe a place - I want to see it. And why the hell not? If we can get photos from the most remote corners of the world, the journalist can damn well walk down the street and photograph a local cafe. Let's zoom in one cafe feature, which shows 3 photos: one of the interior, one of coffee (looks like its in a wine glass) and one of a house dessert. 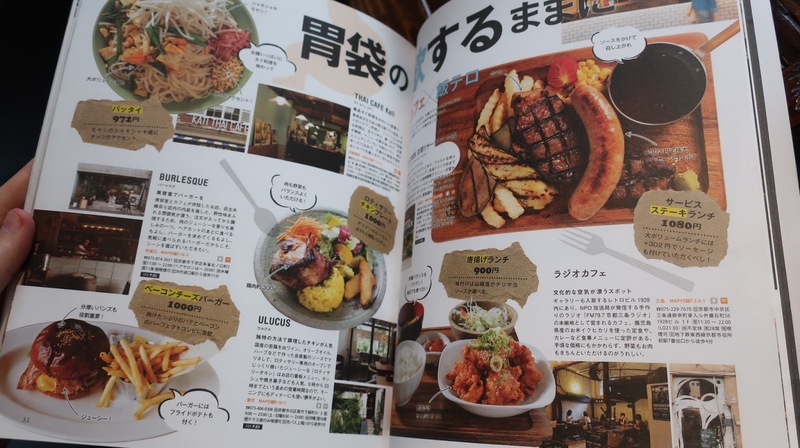 In Japan, cafes are known for their food. They are most associated with foods like curry (Japanese have their own take on this Indian dish), sandwiches, and pancakes. If that doesn't tempt you, these mouth-watering photos will. Cafes are not just about the food and coffee, they are as much about the experience of being in the cafes. That is why lots of space in cafes magazine is devoted to the architecture and interior design of a space. Some even go so far as to include floor plans. Short blurbs show you the owners of the cafes, the cafe staff, or the roasters. 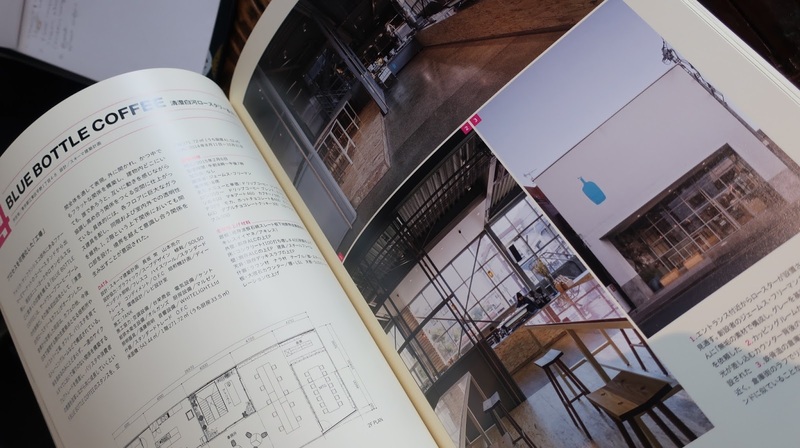 This allows you to learn about the people behind the cafe and to feel connection to them. Japan, after all, is a very relationship-oriented culture. I also appreciate that the magazines are pro-small business and seek to humanize the cafe experience. 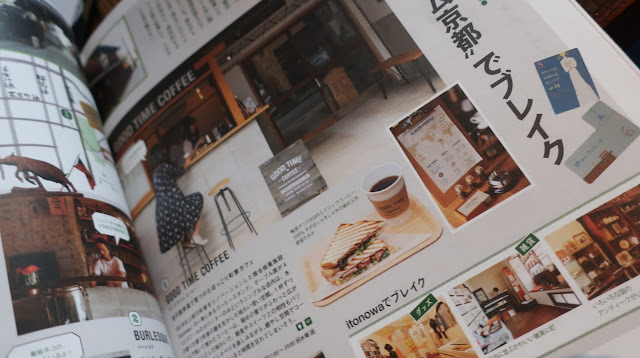 The magazines also give you an insider glimpse into the business of cafes. Differing from the trade magazine of America, in Japan they tell you only enough to appreciate the background. Short articles and photos highlight everything from local Roasters, to bean imports, to Menu Design! Lastly, this is my favorite feature of cafe magazines, and the very reason I buy them. 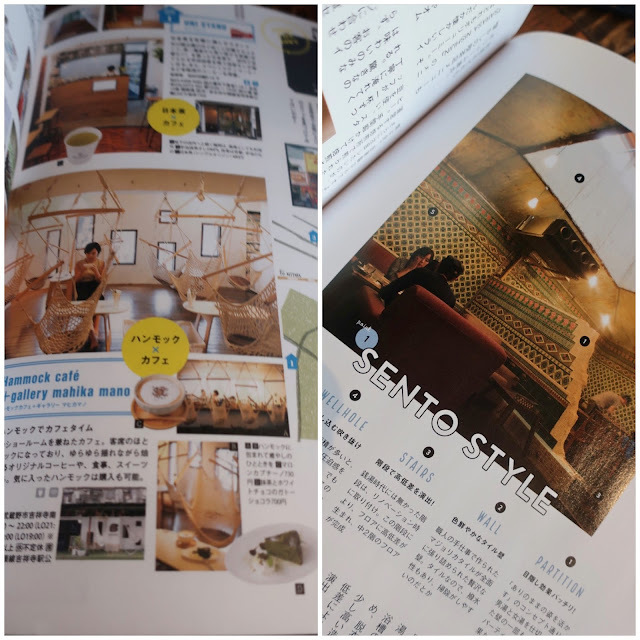 Through their lists, I can learn about cafes in a certain city or region I am visiting, and then decide which ones are worth the trip and which ones to skip. This is not merely a list with a few photos like American websites, this is thorough. Cafes Guides includes maps, contact info for the cafes, and even checklists that include info on number of seats, smoking/nonsmoking, wifi, take-out, and even whether you can photograph inside.